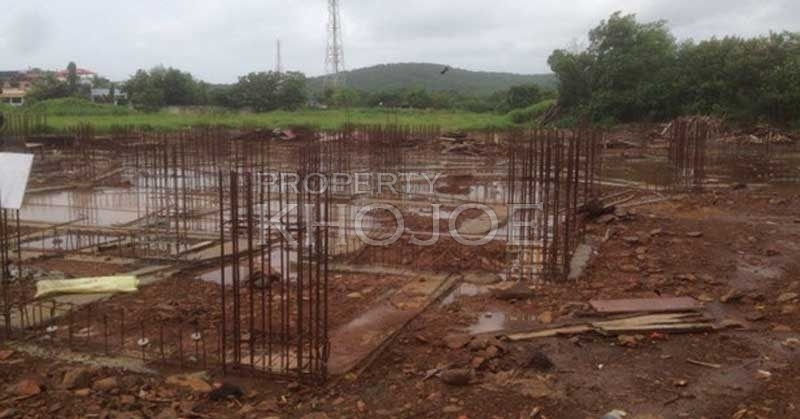 Ashtavinayak Complex Juna Palghar Palghar by Shamik's Enterprises Pvt. Ltd.
Area/Size : Carpet 460 Sq.ft To 618 Sq.ft. Carpet Area : 460 Sq.ft, 479 Sq.ft and 501 Sq.ft. Carpet Area : 606 Sq.ft and 618 Sq.ft. 4 Towers / Stilt + 7 Floors / 42 Apartments / Per Floor 6 Units. 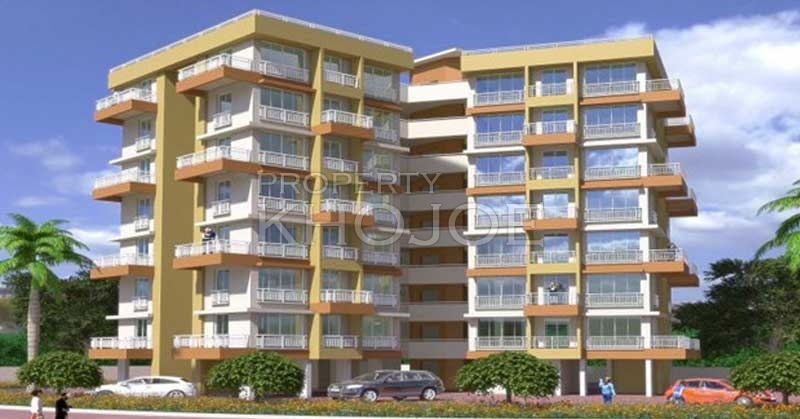 Ashtavinayak Complex is one of the well-known residential projects that are situated in Juna Palghar, Palghar. Raised by Shamik's Enterprises Pvt. Ltd. The fixtures and fittings of those residing are of the top quality that is sure to long-lasting. Make a smart conclusion of forever by moving into this dwelling. Ashtavinayak Complex is your ultimate desired destination offering you lifelong of happy and enjoyable moments. This project provides considerately designed 1 BHK and 2 BHK apartments with basic features for the comfortableness of residents. Including to this, it is located close to the market, medical center, many colleges and schools. Shamik's Enterprises Pvt. Ltd is your house services business aimed at giving top quality residential projects. From the start of home, place recognition, development, to post-construction services like internal or features management services, this firm does everything related to property. Expert supervisors with rich knowledge in handling Structure companies, Shamik's Enterprises Pvt. Ltd aims to ensure that their homes and services are of the finest quality. Kindly contact above mentioned contact details for any queries you might have. * Seismic design is done as per the current relevant is code 456 and is code 1893 for seismic zone iii for a safe building design. * The construction would be of reinforced concrete with corrosion resistant steel. * This will give extended life to the building. * R.C.C frame structure m20 grade concrete as decide by the RCC consultants. * All internal partition walls will be of 115 mm thick brick masonry. * All external walls will be 150 mm thick concrete/brick masonry. * An elegant contemporary low maintenance beautiful elevation and quality construction. * Powder coated aluminium sliding windows. * French window in living room. * Marble windows sill Louvers. * Marbonite tile flooring with skirting in all rooms. * Anti-skid flooring in bathroom and toilet. * Full height glazed tiles in bathroom and WC upto beam level. * Tiles up to beam level in kitchen over platform. * Fine finish granite in kitchen platform with stainless steel sink. * TV and telephone points in living and bedroom. * Anti-corrosive CPVC pipeline for internal and external plumbing. * Concealed plumbing with quality Sanitaryware and attractive C.P fittings. * R.C.C loft over toilet/bath with water storage tank. * Hot and cold water mixer. * Cement plaster with W/P compound as base coat over a coat of chemical treatment. floor finished with china mosaic with 4” skirting on wall. * Cornice in ceiling in living room. * Internal walls finished with smooth wall care putty. * Oil bond distemper colour on walls and ceilings. * 100% acrylic waterproof anti-fungal paints on external walls. 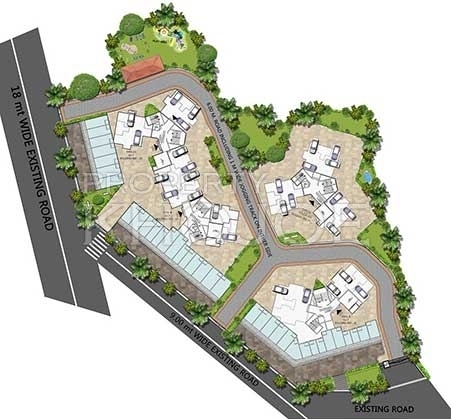 * Pollution Free Complex with Lush Green Surroundings. * Shopping Areas in Complex. * Well planned flats with proper ventilation and light. * Well Planned Street Lightings. * Lush greenery surrounding and Mountain View. * Unparalleled quality of construction safety, amenities and timely delivery. * Every aspect done in thoughtful and scientific detail by renowned and acclaimed consultants. * Free hold Land with clear Title. 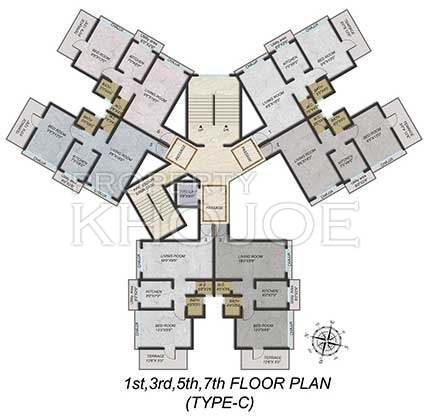 * Exceptionally cross ventilation designed apartments.